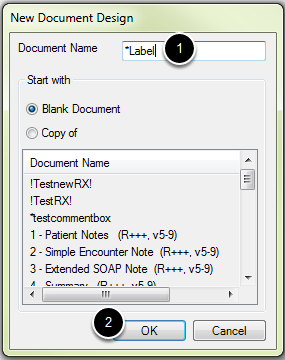 SOAPware DocumentationSOAPware FAQ'sFAQ's Document DesignerQ: How do I create a label within SOAPware? A: Creating labels in SOAPware can be accomplished if the user has a designated single label printer. 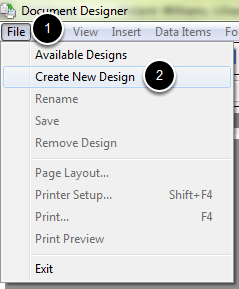 Click on Create New Design. 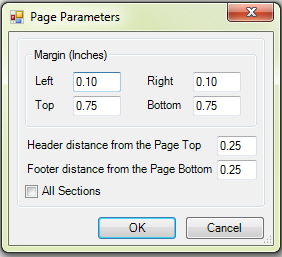 The recommended page parameters are shown in the image above. 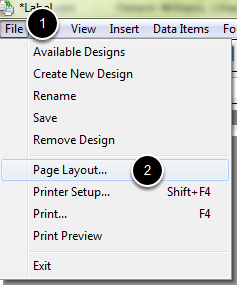 Click on the Page Layout tab. 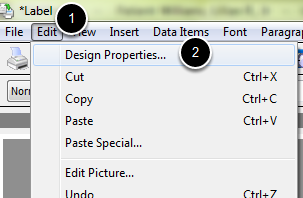 Under Page Size, type in the measurements for the label. 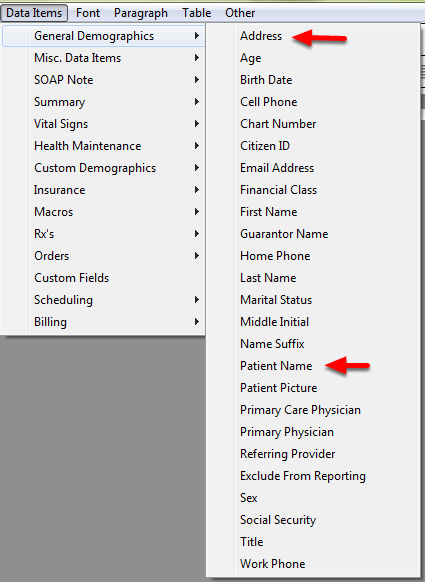 Click on Data Items and insert the information to be displayed on the label. 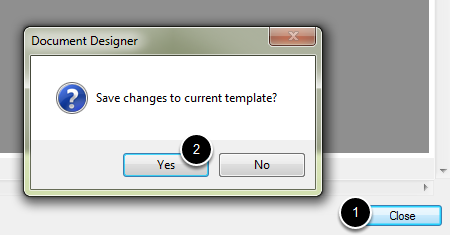 Click Yes, to save changes to this document. 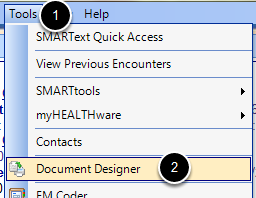 Previous Lesson: Q: Can I use Document Designer commands in my templates? 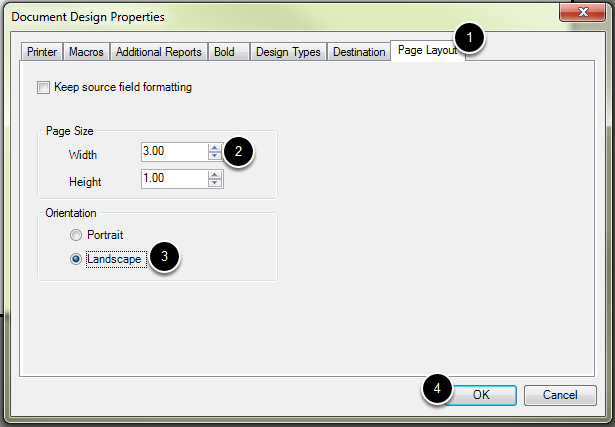 Next Lesson: Q: How do I create a new Document Design in Document Designer?